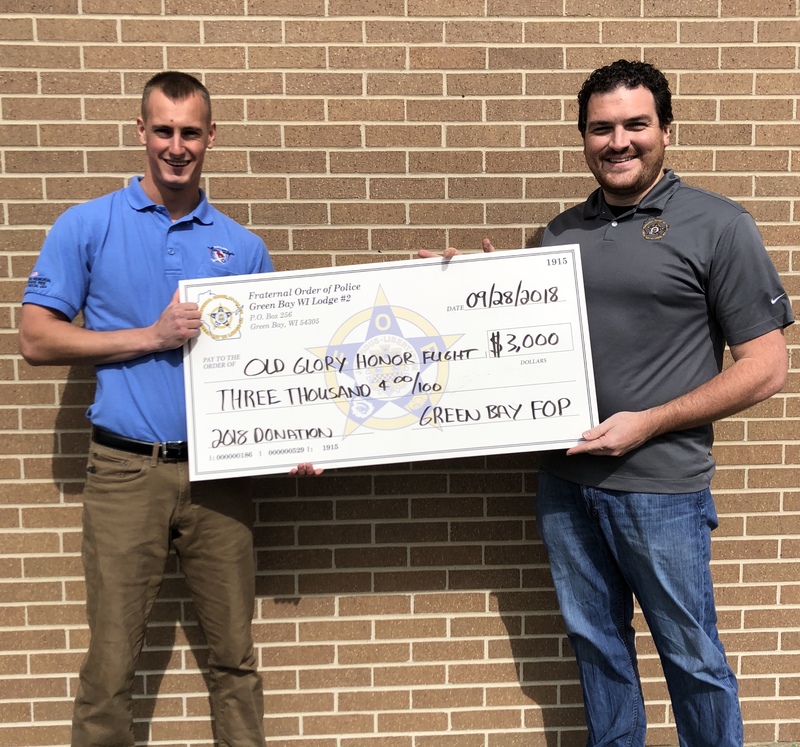 On September 28, 2018, Green Bay FOP President Ryan Windorff was honored to present Old Glory Honor Flight Board Member Scott Delsart with a donation of $3,000. Old Glory Honor Flight is an organization that offers local World War II, Korean War, and Vietnam veterans a memorable, safe and rewarding tour of honor to our nation’s capital to see memorials built in their honor and other landmarks. Scott informed us that since being founded in 2009, Old Glory Honor Flight has had the opportunity to take over 4,500 veterans from Northeast Wisconsin on this once in a lifetime trip. We are proud to support an organization who provides this honor to our nation’s heroes. For more information on Old Glory Honor Flight, and how you can support their mission, visit their website.